Star Wars 9 to Reintroduce Knights of Ren with One Big Revelation? J.J. Abrams might be bringing back the Knights of Ren for Star Wars 9. The Knights have been asked about quite a bit since Rian Johnson left them out of The Last Jedi. According to Johnson, he simply didn’t have the room for them and felt that they would have complicated his story too much had he replaced the Praetorian Guards with the Knights of Ren. With that being said, there have been rumors going around for months that they will be making a return, and this is the second time this week that the mysterious knights have been brought up. 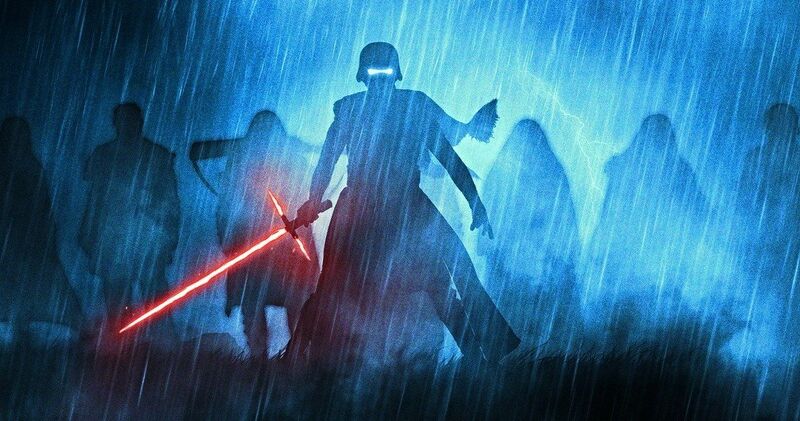 Earlier in the week, an anonymous source claimed to have seen concept art for Star Wars 9 with the Knights of Ren during a Disney marketing presentation. And now, it looks like they will be back for Star Wars 9 with some changes from The Force Awakens. It has been rumored that they will not be “Force Wielding Mercenaries,” which was originally believed. Instead, it looks like they are going to be “a group with many special abilities,” which may seem “unnatural.” No other information was given, but this could be potentially excellent news for Star Wars fans who have been waiting to hear about the Knights of Ren again. With a potential Knights of Ren return in Star Wars 9, it will be interesting to see how J.J. Abrams has them react to Kylo Ren’s new-found power after striking Supreme Leader Snoke down in The Last Jedi. Will they side with their new supreme leader, or rebel against the young Ben Solo for what he did to Snoke? Whatever the case may be, it will certainly be tense, and it could lead to a completely different power struggle within the First Order. Related: Star Wars 9 End Battle Scene & Kylo’s Green Lightsaber Teased in Set Leak? If the Knights of Ren do return, that could mean that Star Wars fans will possibly get to see more of Snoke’s backstory as well. There have been other rumors suggesting that we will get to see the connection between Snoke and Emperor Palpatine. Snoke’s ring in The Last Jedi contains references to the Four Sages of Dwartii: Braata, Faya, Sistros, and Yanjon. In the prequel trilogy, Palpatine has statues of the Four Sages, leading many to believe that there is a connection between Palpatine and Snoke. As with all rumors, this has not been confirmed by J.J. Abrams or anybody at Lucasfilm or Disney. However, it would be pretty awesome to finally see the Knights of Ren make a return to the big screen with Abrams at the helm. Regardless, Kylo Ren will have some time to think about his choices before a new battle takes place. Perhaps he’ll even have his helmet pieced back together to reflect his fractured state of mind. The Knights of Ren information was first reported by Making Star Wars.